 UKDN Waterflow has announced their commitment to achieving CEMARS global greenhouse gas accreditation. The accreditation, which will take six months to achieve, will involve guidance from Achilles who will provide the tools and confidence to measure a greenhouse gas footprint in accordance with ISO14064 -1. The journey starts with robust emissions measurement through to credible emissions reduction and several audits from Achilles to receive accreditation. Achilles provides the world’s leading greenhouse gas certification, CEMARS (Certified Emissions Measurement And Reduction Scheme). CEMARS is the first global greenhouse gas certification standard to be accredited and approved by the UK Environment Agency as a Carbon Trust Standard equivalent and an Early Action Metric in the CRC Energy Efficiency Scheme. CEMARS is also a recognised verification standard under the Carbon Disclosure Project (CDP). James Taylor, UKDN Waterflow’s Head of HSQE commented “CEMARS is recognised in major economies worldwide and can be applied as the common standard across global operations ensuring consistency of measurement and reduction. The standard is applicable to organisations in all sectors of all sizes.